Save some room in your kitchen this Thanksgiving with a turkey roaster oven! 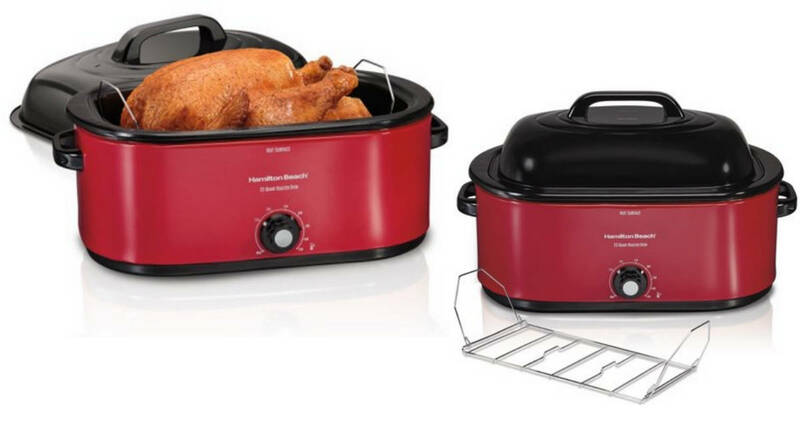 Walmart is offering the Hamilton Beach oven in red for $34.99 (regularly $44.19). This roaster oven fits a turkey up to 28 pounds, has a removable pan for easy cleanup, and a removable rack for lifting hot food. Note: This price may change at any time. Choose FREE in-store pickup to avoid shipping costs.